Purchased a new 6'10 Bam Bam in EPS construction on the week-end. Got the new bag as well. Both look really well made. Thanks to the guys at TSBW for the great service. Wondering what fins people are using. The new model has the 5 fin option, so has quite a few choices. Thinking maybe an ML quad with a Darc Drive might be worth a try. i read that Jarrod uses Shaper Power Quads, but can't find any info on those fins. Tim, do you think the S8 size would be too big for my 77kg, or would the S7 be better? Hey Wicksy, I'm the same weight as you and I've been thinking about getting a bam bam myself, but torn between the 6'10 and 7'2. How's the stability of the 6'10? Wicksy, I've got Gerry Lopez GL1's on mine but I've got 15kgs on you. The board is an absolute rocket ship when you get it going so make sure you get something with some grab to hold those turns. Good luck! Your perfect fins will depend on your surfing and the waves you're riding. Ive found the quad setup works well in the Bam Bam, as the tail is very wide. If you want the board to be really loose and the tail to slide, you can try a smaller set of fins (size 7 or below), if you want more drive through your turns you can use a larger set of fins. This video was shot in every average conditions just south of the Gold Coast. Tim is using the Power Quads with a home made "Nubster" centre fin. Im using our proto type fins which will be released in a couple of weeks. I'm not taking the piss when asking this but, do these boards get on rail? In the few vids I have seen of them they seem to turn very flat (IE dish pan turn). I know they are designed for small waves and they are pretty wide but nothing beats burying some rail. Bender, I roll mine over onto the rail and dig it in! I'm a big fan of the old deep carving type of surfing and have no dramas. I am 93 kgs on this board though so really on the heavy side for it with only 116 litres of float. Haven't been on it for a while to be honest and gone back to my 7'11 evoke, as I was hoping to loose some kgs as its hard work on the bam bam at the moment. Fair call Bender. We really weren't happy with the waves we shot the Bam Bams in. The first time in Byron was the second surf I had on the Bam Bam and as soon as we paddled out on a solo wave to ourselves 2 guys paddled out and started snaking, dropping in then telling us stand ups "weren't allowed". Thus me throwing a bucket of water over the guy to cool him off. Waves were really small and weak but the boards still excel and flow in small waves. The second time we filmed we had a lot more experience on these boards in good waves too... But it was bumpy onshore half foot slop. I was actually suprised we managed to get a few grovel waves in. The Bam Bam does allow you to lay flat and put the board on rail but as with any board... You need a decent face to draw a decent line. We are working on doing a few trips in 2016 to shoot our full range in decent waves in Aus as well as indo. Hope to be able to light these things up a lot more than our grovel vid shows sorry mate. As Tim said, plus even in the last vid of the stellar Vaz brothers, you can see them dishpanning sometimes: it depends on what the wave calls for, of the mood of the instant... surfing is constant adaptation, not mechanical repetition of the "one and only" turn. If the wave is slow and weak, buring a rail is not the best way to have fun. Just a quick update. 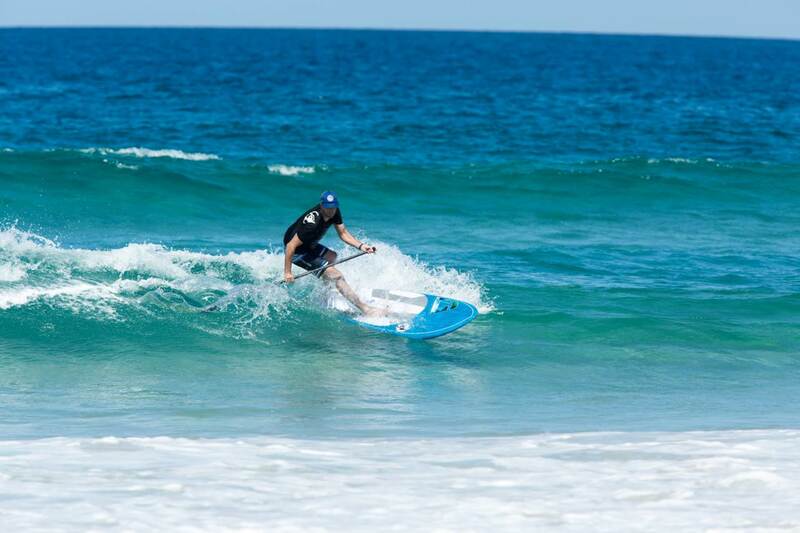 Took the Bam Bam out for a paddle at Currumbin yesterday. No surf, just messy slop.I weighed in at 78kg before the paddle. The 105 litres was more than enough to float me. Board sat really nicely in the water with the rails and tail slightly under water, and was surprisingly stable and comfortable to paddle. Honestly think the 7'2 at 116 litres would have felt too corky. Board has a nice domed deck which was really comfy with the narrower offset stance that seems to work best with these shorter boards. Managed to get 4-5 strokes per side, even with the tiny fins that were supplied. Should be even better with a larger set. Glad I got the 6'10 instead of the 7'2. The size feels just right. Looking forward to us getting some clean conditions to try it out in. Here are some pics of the beast. Thanks for the feedback and pics Wicksy. Looks like the 6'10 is the go. PS the board looks great! im on the 7'6 in carbon. At 95kgs this is working well for me. Had my second session on it on Saturday. First session with Shapers Quads (M) in. The Shapers fins give the board a heap more drive and tighten the board up a lot from the stock fins. That being said the board is still plenty loose and lets you through the tail out at will. This board reminds me of surfing my 5'10 Diverse quad in half decent waves (2-3 foot). Heaps of drive but with a real skatey feel to it. Paddling onto waves is the biggest trick. Strong paddling just turns you around, so you need to be in the right takeoff spot and paddle a little bit softer. Im finding i need to paddle into the takeoff zone with momentum and only put any real effort in the last 2 strokes. I thought this board would need to stay pretty much in the pocket to keep it going - WRONG. This thing keeps going in the flats very well. Transitions from an outer break to the beach break is just a matter of a few powerful strokes and the board stays planning on its tail ready to take on the beachy. I was super impressed. Hitting the beachy with so much speed. The short board riders could only hope to get half the length of rides i was getting. You just cant paddle on super early to waves like you can on your 9+ footers. Due to the shortness of the board I find foot position (fore and aft) when paddling very sensitive. If you are feeling much toe pressure you need to move forward, only a few cms at a time until you feel the pressure gone. Then you are in the right spot. Getting this right will save you heaps of leg energy, especially along the shins. The Bam Bam has made conditions i would surf reluctantly into epic sessions! You have all the drive and performance you could hope for. Being able to blast apart 1-2 foot beachies is just awesome. And my GF is happy to come out in these conditions also - so we are surfing together, which means more surfing for me!! This weekend gone none of my mates surfed because the 'conditions sucked'. 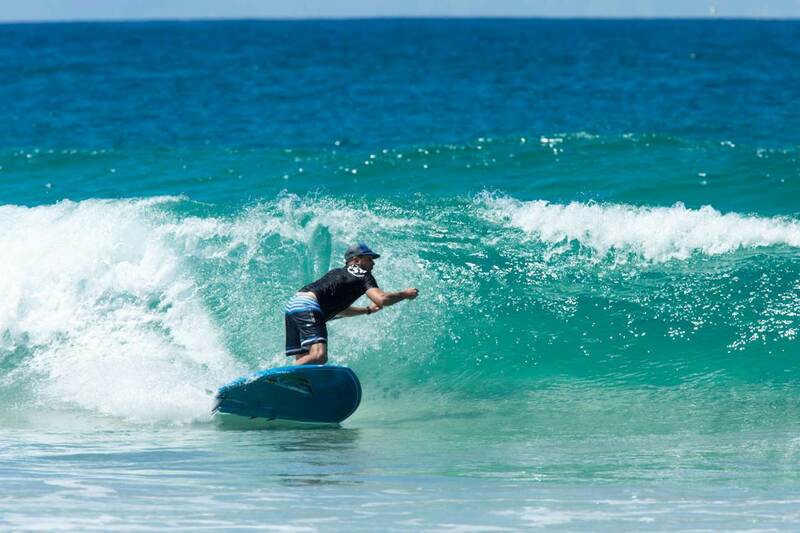 I on the other hand had my funnest surf of the summer yet! I just gave my new 7’6 bambam a try out in really crappy/windy conditions today, and it exceeded my expectations. After spending the past 6 months on my 7’2 carbon bambam, when I saw the TSBWH super special price on the basic models, I thought I’d try the extra volume for less favourable conditions (which is pretty normal here at Agnes/1770). It is really stable, paddles onto crappy messy crumbly waves with ease and shoots along the face of the wave as well as the 7’2 carbon. I think the extra weight of the f/glass construction makes it even more stable and will allow me to stay out much longer on those tiring windy days without compromising on performance. I’ve gotta say I am pretty impressed now with the collection I have. The 7’2 carbon bambam is perfect for those lovely clean small wave days, the Vex 8’6 carbon rocks when the swell picks up but stays nice and clean, and the new 7’6 bambam basic seems to handle anything I want to get wet in. The poor old 9' fanatic will now be permanently retired to windsurfing.